Will you add the ATC system in your Tozai Line? I would like to reproduce both CS-ATC system and WS-ATC system. I would like to ask you one more thing,what train 'types' will in your project? Thank you for your interest in the tozai line. 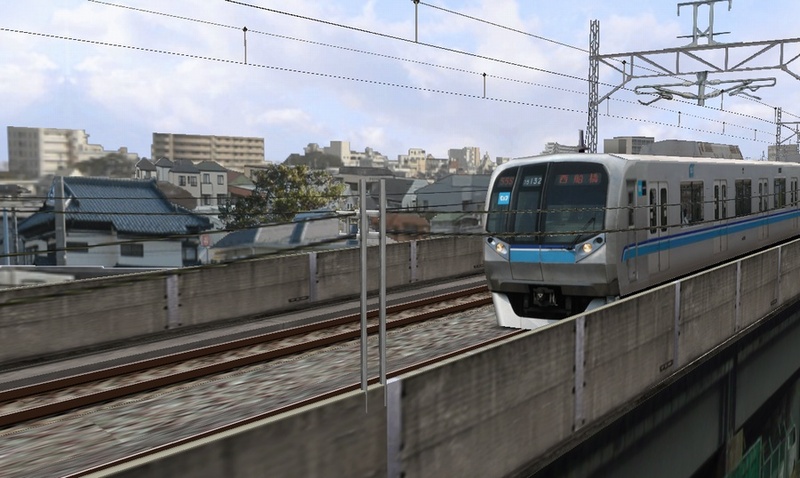 I have produced three types which is localtrain, rapidtrain, and rapidcommuter. I do not know when you can publish. But...maybe, Could be good news for the Christmas season. It's good to hear more news! I am a Openbve player,Will Tozai Line support BVE5 only or support Openbve? I've played your old version No.5 line before,but i found out that the'南砂町'station have roads on the track.Will you fix those bugs in yourNew Tozai Line?Thanks! I'm going to support both BVE5 and openbve in the long term. First will be the support of mainly BVE5, I'm going to support only a little openbve. However, the failure of the signal in the Mimamisunamachi station I'm going to publish the modified file. If I could afford in the future, I want to produce an English version as well as the Japanese version.